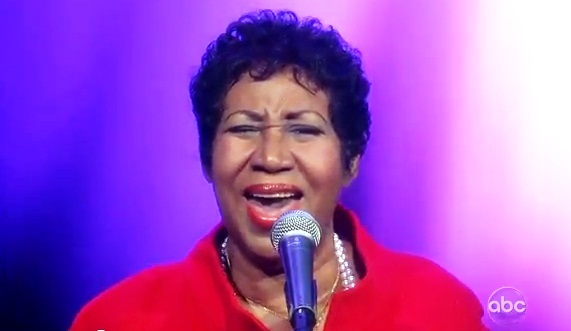 *Aretha Franklin showed off her 85-pound weight loss during an appearance on “The View” Thursday. While she still won’t reveal the nature of her illness — speculation was that she had pancreatic cancer, something she denied. She sounds better than she has in years! I wish I had known our “Queen” was going to be on The View so I could have recorded it. She looks great with the short hair. I love it. You can watch it on the ABC website.